Your product is your ambition, Photon App Joomla! 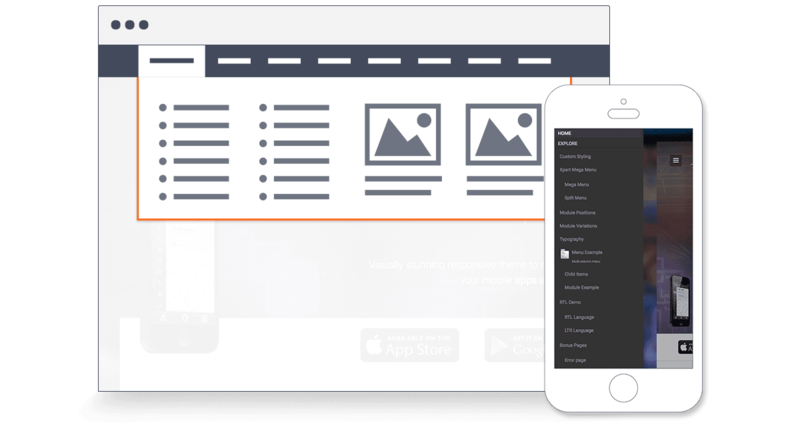 template is specially made to showcase your app, coupled with, keep records of your progress with all the amazing tools available. The perfect platform your App needs to have. 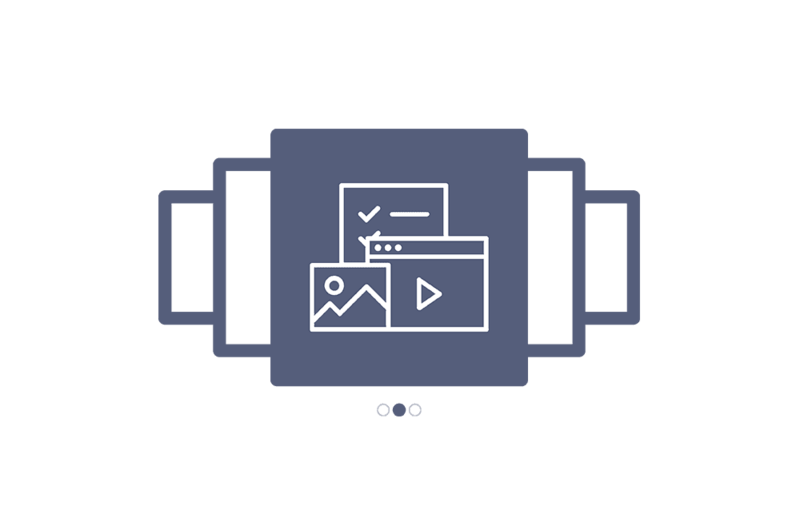 Megamenu and Off-Canvas menu offer wide range of menu options, such as: inline subtext, icons, images, videos, modules, custom column widths and more. Photon supports both MegaMenu on desktop and Off-Canvas menu on mobile and tablet devices. 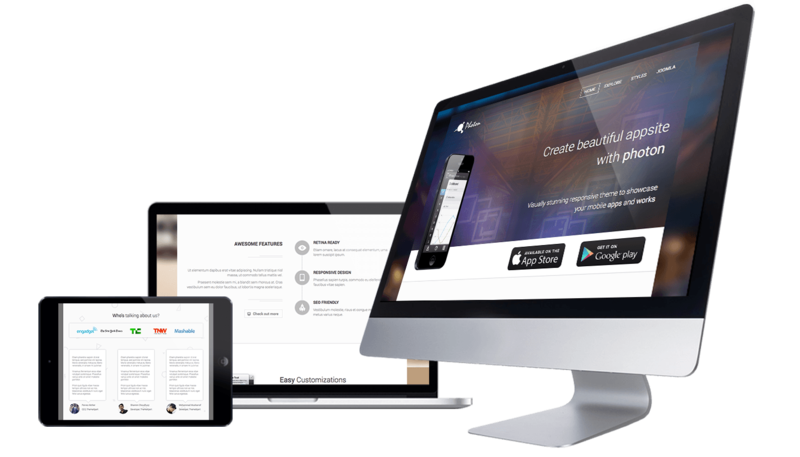 Photon - Joomla business template comes with 3 preset styles. All preset styles are configurable from the template manager, allow you easy switching and building your Joomla portfolio website quickly. Modern technologies offer a wide range of advantages. 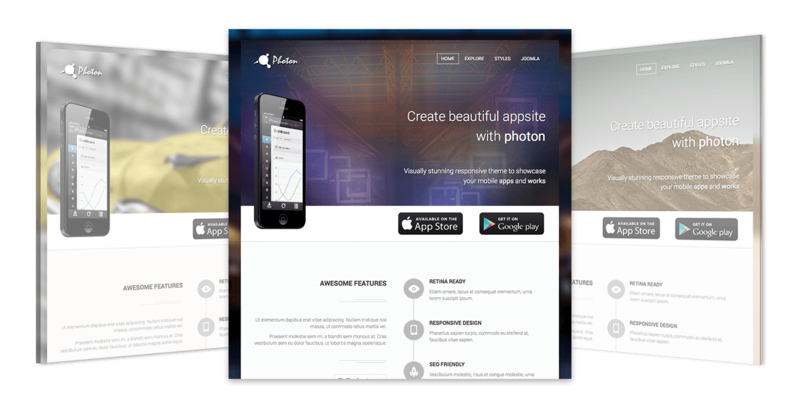 Photon - Joomla app template is built with Joomla 3, Bootstrap, HTML5 and Expose Framework.